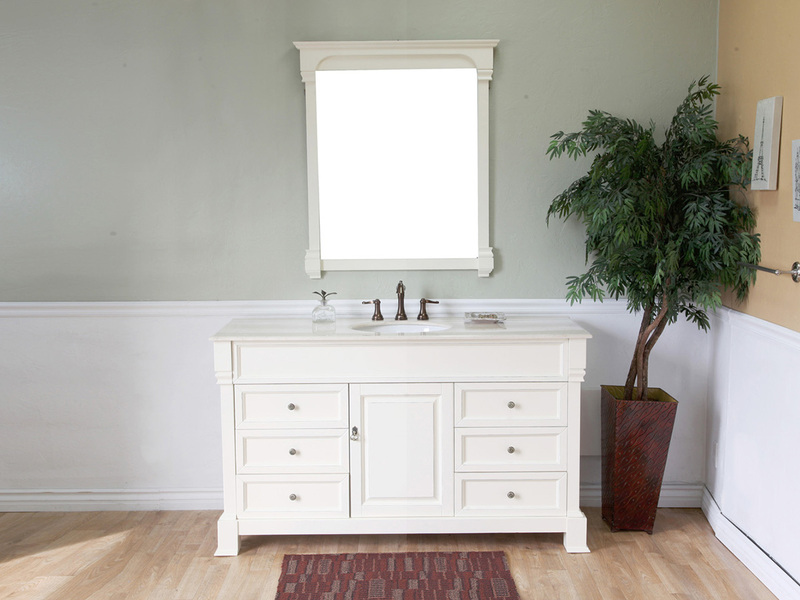 The Helena Grand Single Vanity is both functional and great looking with its spacious counter space and its traditional design. 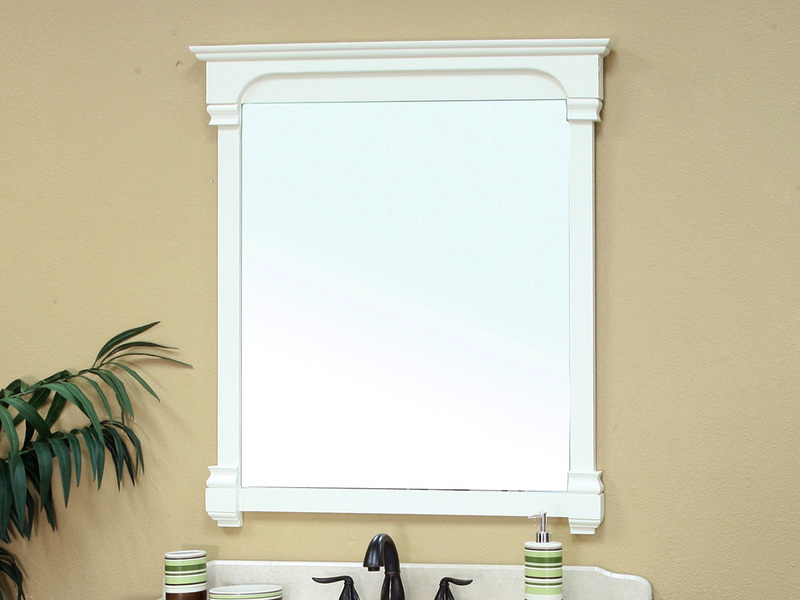 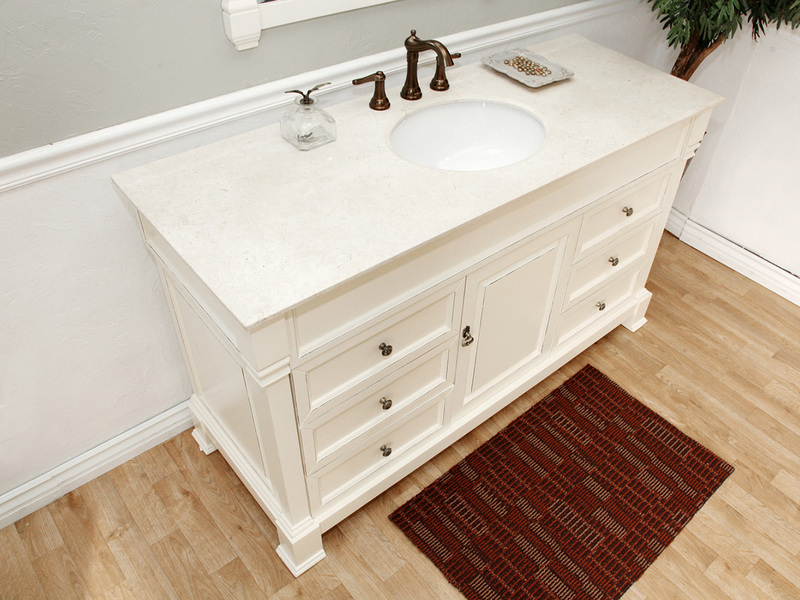 The rubbed edge finish and beveled features enhance this vanity's charming, traditional look. 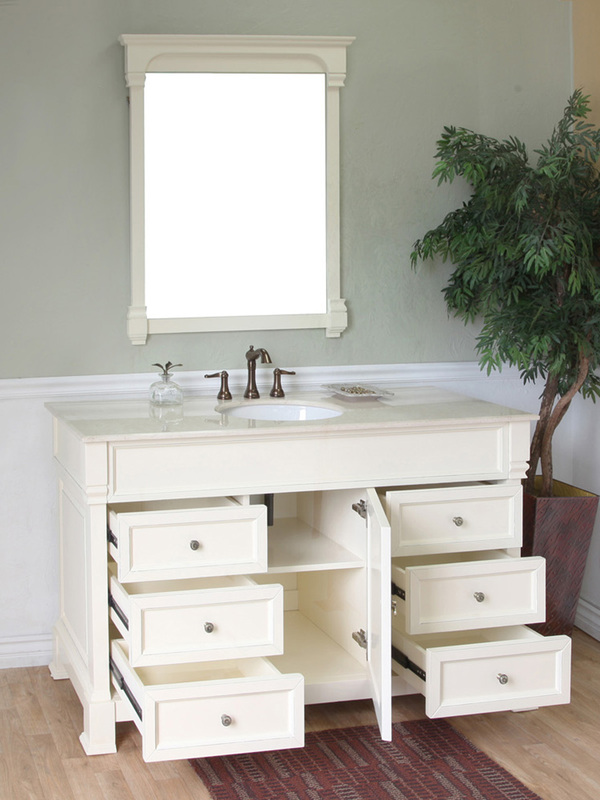 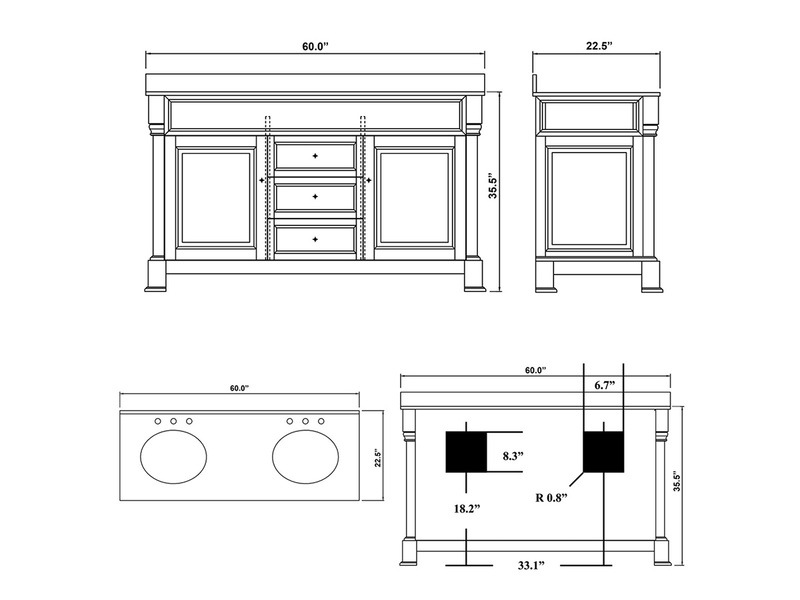 With its 60 inch width, the vanity provides ample space above and below for your bathroom accessories, including a cabinet and six functional drawers to keeping organized. 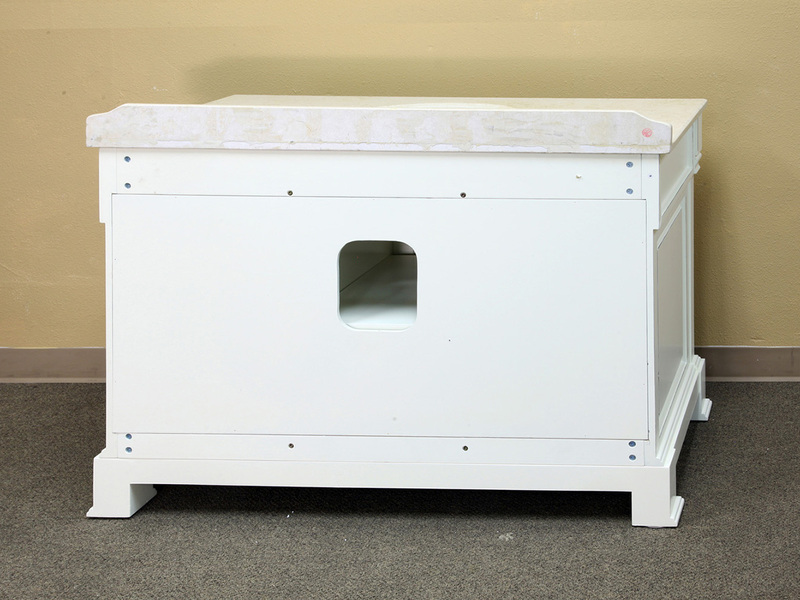 The cabinet is constructed from solid birch wood with a water proof finish for humidity protection. 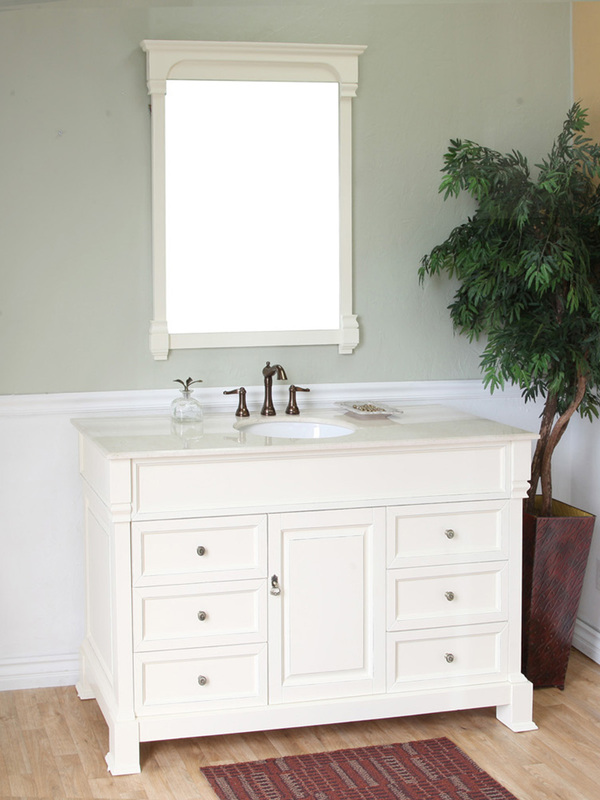 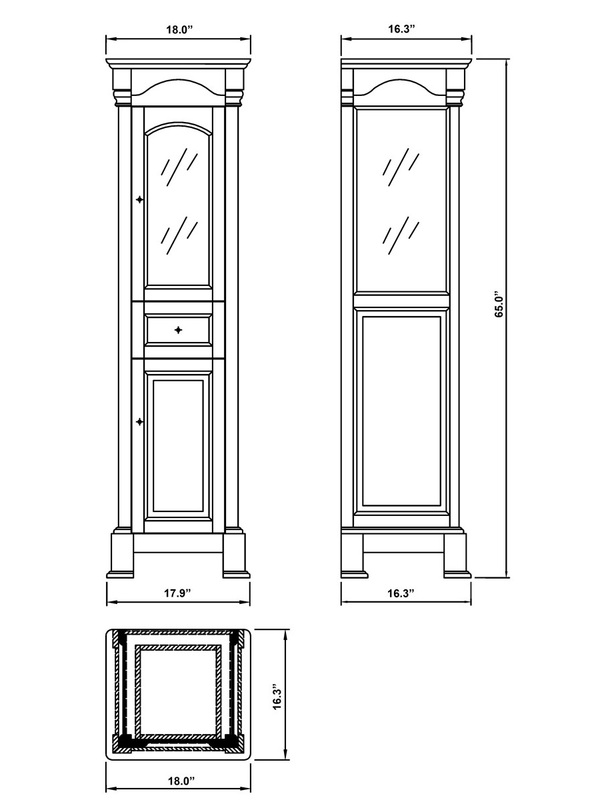 Optionally, a matching mirror and linen cabinet are available to complete your traditional bathroom furnishing.